MMA fighter Nate Diaz defeated Conor McGregor at UFC 196 to capture the UFC welterweight championship in March, and the two fighters are gearing up for a rematch this Saturday, August 20. Nate Diaz’s fitness regime, in part, may have helped lead to McGregor’s submission in the second round—but his vegan diet may have also played a significant role in the UFC star’s success. Nate Diaz, 31, and older brother Nick Diaz, 33, are both elite MMA athletes and yet strictly follow a vegan diet. Nate has been vegan for about 12 years, and was inspired to make the change from his brother Nick. Nate Diaz predominantly follows a raw, vegan diet, and believes that a heavy meat diet can actually slow you down. In an interview with Men’s Journal Diaz notes that the vegan diet makes him a smarter and more intelligent MMA fighter. Diaz allegedly stopped eating dairy when he was preparing for a fight at 17 years old. At the time he avoided cheese and milk for a month; at one point he relapsed and ate a big bowl of fettuccine Alfredo after a fight. This resulted in headaches and constant trips to the bathroom; after realizing the adverse effect certain food had on his health, Diaz transitioned to a vegan diet. As part of his vegan diet, Nate Diaz avoids meat and diary, and other animal byproducts, such as eggs and honey. A true vegan diet also excludes poultry and fish, while includes plant-based, unprocessed, and organic foods, like fruit, vegetables, lentils, beans, and other legumes. Other non-meat options on Nate Diaz’s vegan diet plan include quinoa, brown rice, buckwheat, unsalted nuts and seeds, and seed and nut butters and flours. Diaz also consumes raw kelp noodles with pesto. Nate Diaz complements his vegan diet with high-intensity training, which has helped him become a top-level MMA fighter in the UFC. Nate Diaz has a history of running 10-kilometer races in the weeks before a main event. Diaz’s fitness routine is among the best in UFC. He also runs or bikes twice daily, along with MMA, boxing, and wrestling training. He’s a five-time Submission of the Night Winner. Won season 5 of the Ultimate Fighter. One-time Knockout of the Night winner. Tied with Frank Mir and Kenny Florian for the most submission victories in UFC history. Ranked eighth in UFC history in career submission attempts. Currently the fourth ranked lightweight division UFC fighter. The vegan diet is very rare among the majority of other MMA fighters. Besides the Diaz brothers, other UFC vegan fighters include Alex “Bruce Leeroy” Caceres, who made the conversion to veganism within the last couple of years. UFC signee and former WWE superstar CM Punk is a long-time vegan who also avoids alcohol. Mac Danzig is also credited as the first vegan MMA star, and was featured in the 2011 documentary Forks Over Knives. Retired UFC welterweight winner James Wilks also promotes a plant-based diet. Conor McGregor (19-3) and Nate Diaz (19-10) are set for a welterweight rematch at UFC 202 in Las Vegas, Nevada, on Saturday, August 20, 2016. 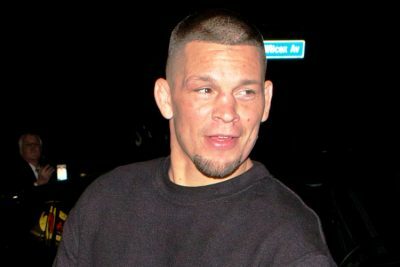 “Nate Diaz talks about his uncommon diet for MMA,” BJPENN.com website, March 22, 2016; http://www.bjpenn.com/mma-news/nate-diaz/nate-diaz-talks-uncommon-diet-mma/. 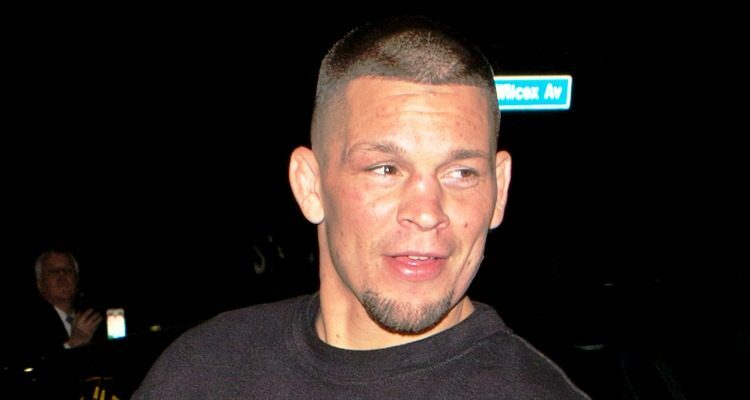 Kenyon, B., “Nate Diaz on the vegan diet he believes is the secret behind his elite UFC fitness,” Sports Joe.ie website; http://www.sportsjoe.ie/mma/nate-diaz-explains-how-his-vegan-diet/71406, last accessed Aug. 18, 2016.